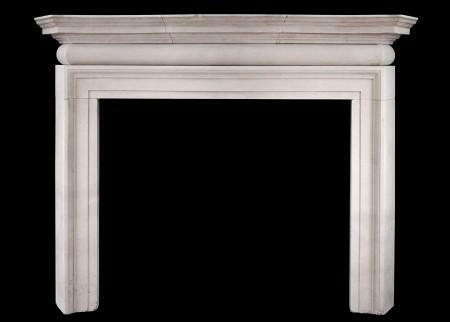 A large and imposing English Portland stone fireplace. 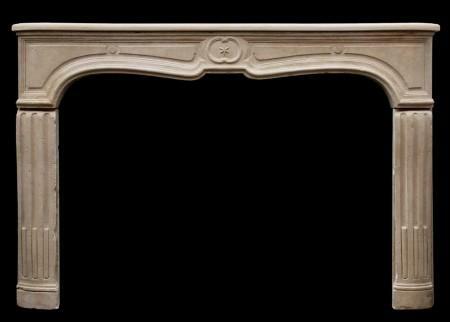 The shaped barrel frieze surmounted by shaped, moulded shelf above. 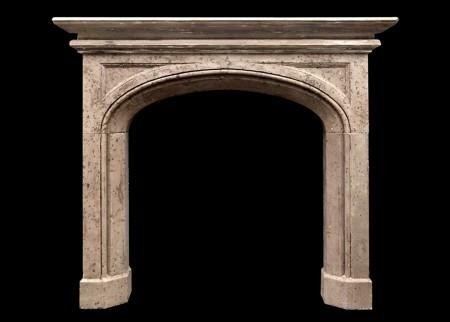 The heavy jambs with angled outgrounds. 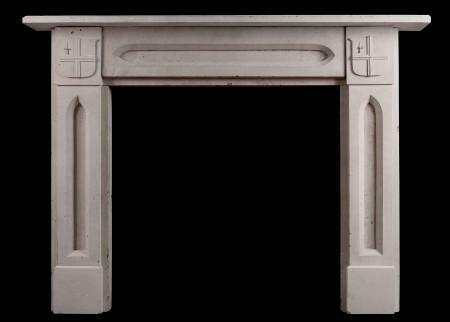 Circa 1900, quite possibly by Edwin Lutyens. 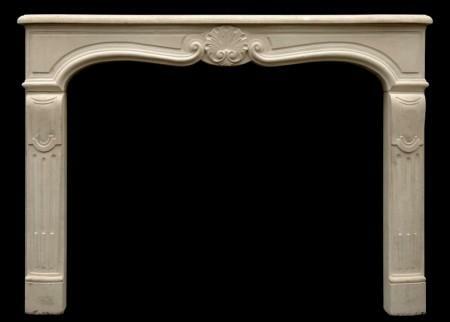 A very impressive piece, which would suit either a traditional or modern setting. 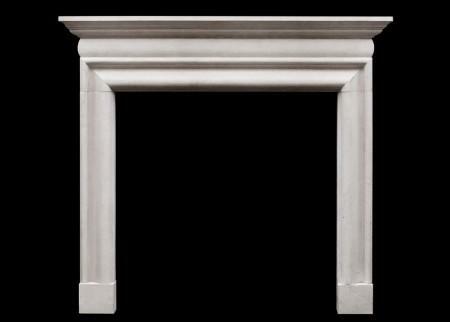 Width of shelf at front: 64.75″. 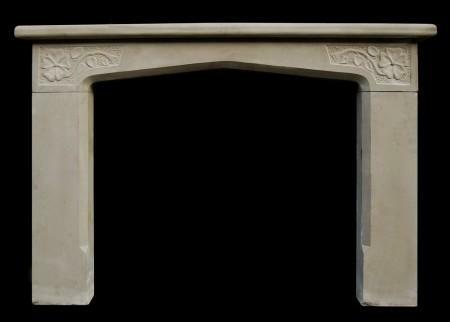 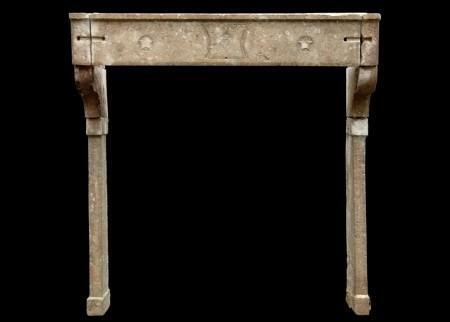 An unusual English limestone fireplace with a Gothic influence. 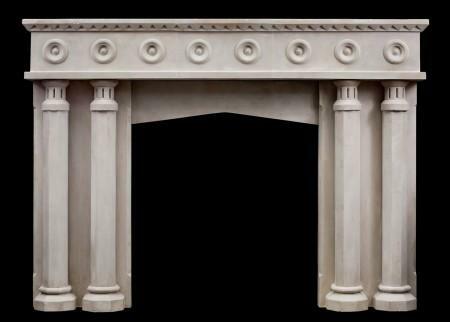 The four hexagonal front columns supporting solid frieze with roundel decoration. 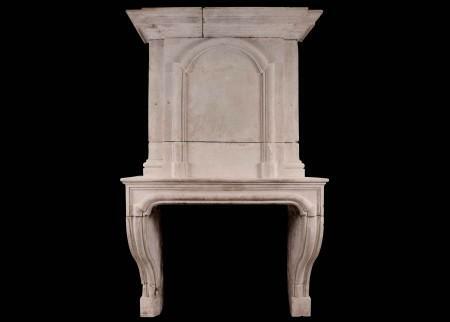 The shelf with triangular detailing to front and sizes. 19th century with later amendments. 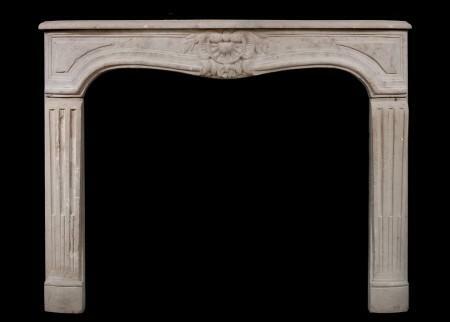 A mid to late 19th century English Gothic style stone fireplace. 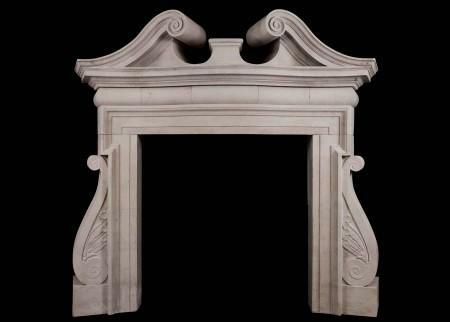 The moulded jambs surmounted by arched frieze with spandrel panels. 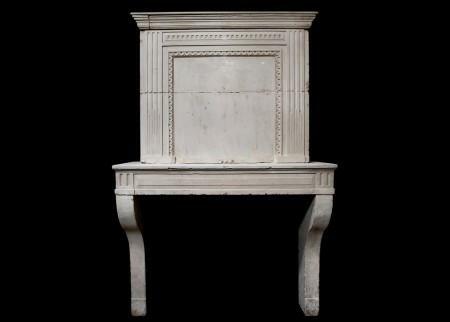 Two tier moulded shelf. 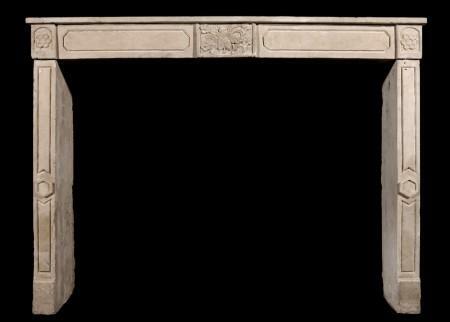 Some markings to the stone caused by the painting of the fireplace over the years. 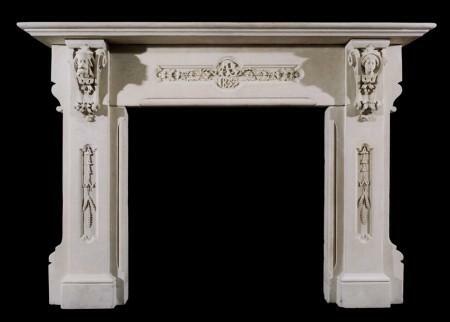 A 20th century limestone English fireplace with carved Tudor roses to frieze, plain jambs with bevelled inside edge. 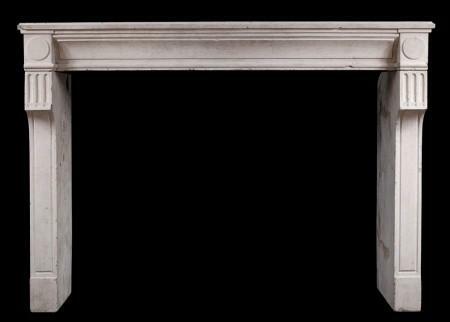 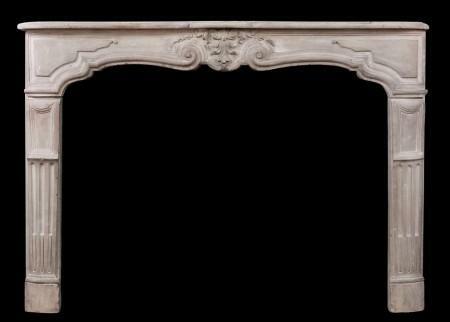 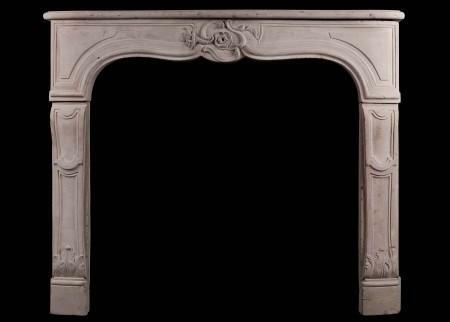 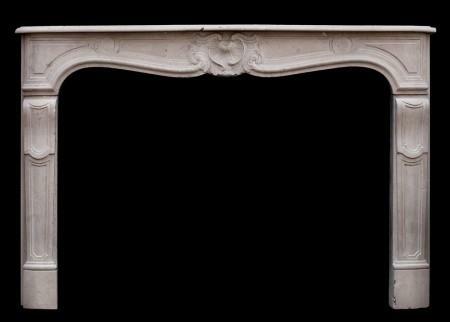 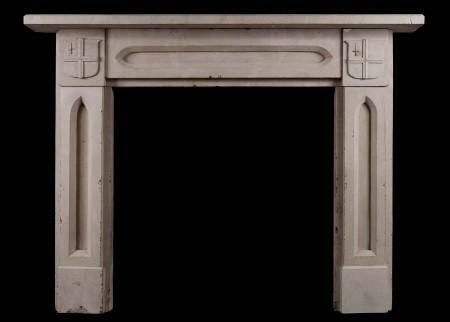 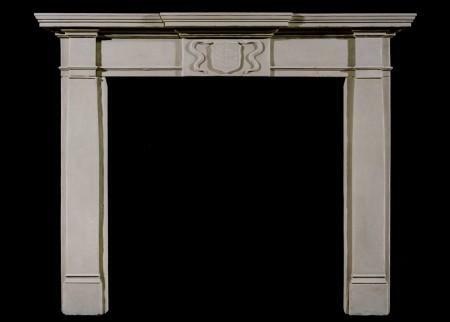 An 18th century French Louis XVI limestone fireplace, with carved centre motif dated 1777, and stars to frieze, plain jambs surmounted by shaped brackets. 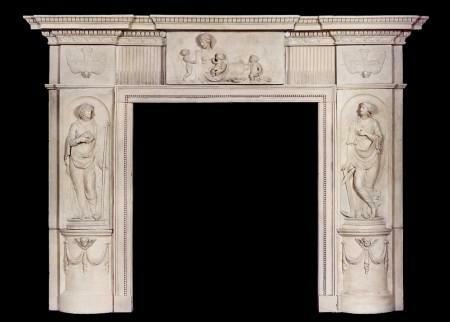 The frieze with polished metal connecting cramps (not shown in photograph). 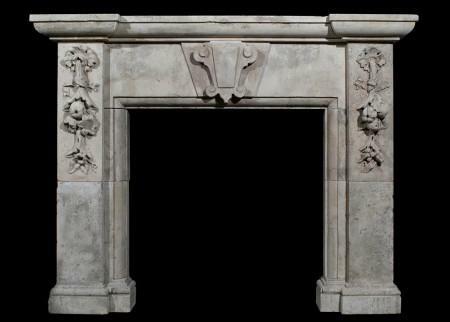 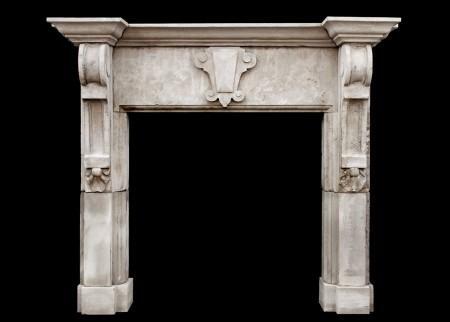 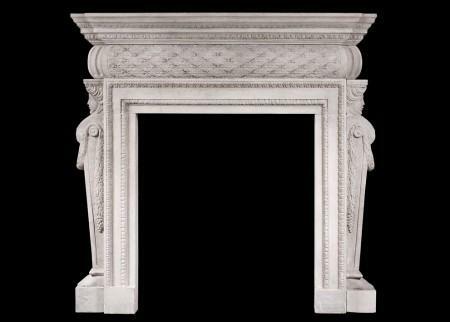 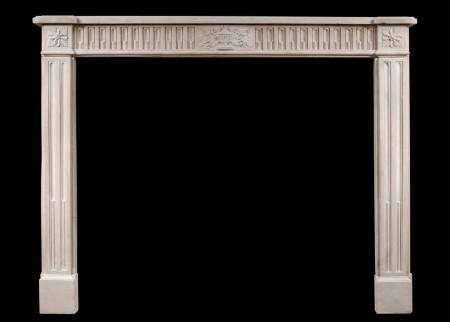 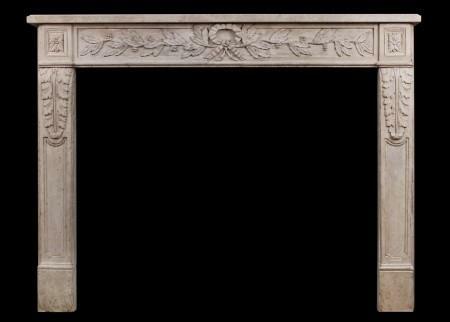 A well carved Renaissance style fireplace in limestone, with a centre keystone to frieze, and deeply carved drops of ribbons and flowers to jambs, surmounted by three piece breakfront shelf. 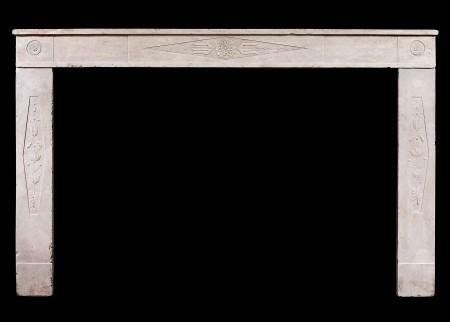 Italian, 19th century.